Homelite is recalling about 370,000 chain saws because the brake can fail to stop the chain on its first application, posing a risk of laceration. This recall involves Homelite brand chain saws with the following model numbers: UT10514, UT10516, UT10517, UT10518, UT10520, UT10540, UT10560 and UT10918. Affected chain saws have manufacture date between November 2007 and August 2008. Both the model number and the date of manufacture appear on the chain saw's data plate, located beneath the rear handle of the saw. Products with a green 'dot' sticker under the bottom side of the handle area and on the outside of the package are not subject to this recall. Home Depot stores nationwide sold the chain saws, which were made in China, between December 2007 and October 2008 for between $110 and $200. Consumers should immediately stop using the chain saws and contact Homelite Consumer Products to locate the nearest authorized service center to schedule a free repair. For additional information, contact Homelite Consumer Products Inc. (800) 242-4672 between 8 a.m. and 5 p.m. ET Monday through Friday, or visit the firm's Web site at www.homelite.com. Chrysler has issued a recall for about 3,600 SUVs, including the 2007-08 Dodge Nitro and the 2008 Jeep Liberty. When equipped with a manual transmission, those vehicles may have a faulty parking brake system, the National Highway Traffic Safety Administration (NHTSA) said. The brake lever clutch drum may distort over time, allowing the parking brake to slip, allowing the vehicle to roll and cause an accident. Dealers will replace the parking brake lever for free. Owners can contact Chrysler at 800-853-1403 or the NHTSA hotline at 888-327-4236. Rage Wireless Guitars used with the Nintendo Wii gaming system are being recalled. A circuit board defect can cause AA batteries used in the guitar to leak if the batteries are installed incorrectly, posing a risk of chemical burns to consumers. Performance Designed Products Inc. has received one report of a burn to a consumer. The Rage Wireless Guitar controller is designed to be used on the Nintendo Wii system. The guitar is blue or white and is 31 inches long. The guitar contains battery-operated LED-lighted fret buttons that go up the neck of the guitar. Mass merchandisers and specialty retailers nationwide sold the guitars from June 2008 through September 2008 for between $40 and $60. They were made in China. Consumers should stop using the wireless guitar game controllers immediately and return them to the place where purchased for a full refund. Do not contact or return the product to Nintendo. Fiesta Gas Grills is recalling about 47,000 Blue Ember grills. The grills can be assembled improperly exposing the gas burner hoses to excessive heat, posing fire and burn hazards to consumers. Fiesta has received 14 reports of grill fires. No injuries have been reported. The recall involves Blue Ember liquid propane (LP) or natural gas outdoor grills. The recalled model and serial numbers are listed below. The model and serial numbers are printed on a rating plate label on the rear of the grill. The cabinet style grill has two doors and is silver-colored and black or silver-colored and gray. Blue Ember is printed on the grills hood. Various home centers and retailers nationwide sold the grills, which were made in China, from November 2007 through June 2008 for about $450. Consumers should immediately stop using the grills, and inspect the burner hoses to make sure they have been properly assembled. If the hose is to the rear of the installed heat shield, the grill has been improperly assembled and consumers should contact Fiesta for replacement hoses, assembly instructions, and if necessary, for assistance in examining the grill. Cadillac is recalling about 17,000 2004 SRX models equipped with an automatic transmission because they may slip out of the "park" position. In some cases, the shift lever can be moved out of "park" when the ignition is on and the brake pedal is not depressed. In other cases, the shifter can be moved when the ignition is turned off. Either could allow the vehicles to roll unexpectedly, causing a crash. Dealers will fix the problem free of charge. The recall is expected to begin during December 2008. 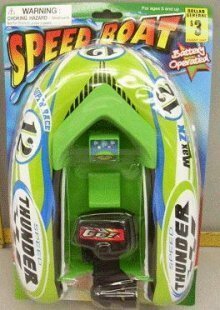 Dollar General is recalling about 200,000 toy speed boats because the batteries can overheat. Dollar General has received two reports of the batteries overheating. No injuries have been reported. The recalled toy speed boats are lightweight plastic toy boats supported by an inflatable hull with outboard motors on them. The motor uses two AA batteries. The toy boat measures about 12 inches long by 8 inches wide and comes in various colors and designs. Dollar General stores nationwide sold the boats, which were made in China, from March 2008 through July 2008 for $3 each. Consumers should take these toys away from young children and return them to the store where purchased for a refund or replacement product. For additional information, contact Dollar General at (800) 678-9258 between 9 a.m. and 6 p.m. ET Monday through Friday, or visit the firms Web site at www.dollargeneral.com.